Check out the changes to the Trovesaurus database from the October Update. Aura: Cosmic Cranium - It's full of stars! 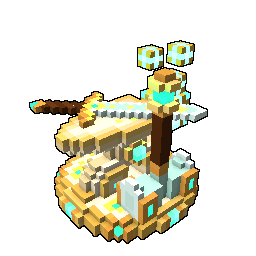 Boat: Automatic Frigate - Travel the Treasure Isles in the most stylish ship around. Ship: Infini Frigate - Lay Siege to the Shores of the Everdark in this flagship of light. Shadowy Seal 2018 - A token granted during Shadow's Eve 2018. Can be used at the Shadowy Station in the Hub to craft a unique lootbox and collections. Skelly's Treasure Box - Contains a plethora of prizes, including Bound Brilliance, Dragon Coins, and a rare chance at Diamond Dragonite or Metamatter. Mount: Whacky Waffle - Not quite syrup-and-sriracha cray, but quickly headed that way. Mount: Monster Truck - Able to jump a whole line of quad cycles. Mount: Rolling Salvo - The trick lies in keeping it going uninterrupted for as long as possible. Mount: Cyclone Skimmer - Inhabiting the marine skies, it plays in and around storm without a care. Ally: Paranormal Pupkin - The happiest gourd dog on the block! Ally: Tannenbomber's Bell - When you're the life of the party, it's normal for it to rub off on others, even if they are inanimate objects. Ally: Spooky Sparty - If you hear squeaking under your bed late at night don't be scared. He just wants to play. Ally: Shadow Nautilus - Wishes there were more water ways in the Shadow Tower. Ally: Smokey Kit Spirit - The feint scent of incense and wood smoke follows behind her. Shadows Eve Event Barker Block - Come one, come all, enjoy our spooky delights! 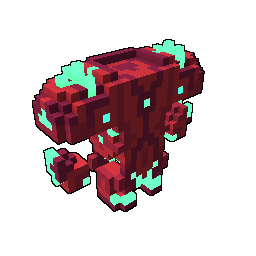 Ghastly Ghosts - Place this block for some flying ghost vfx. 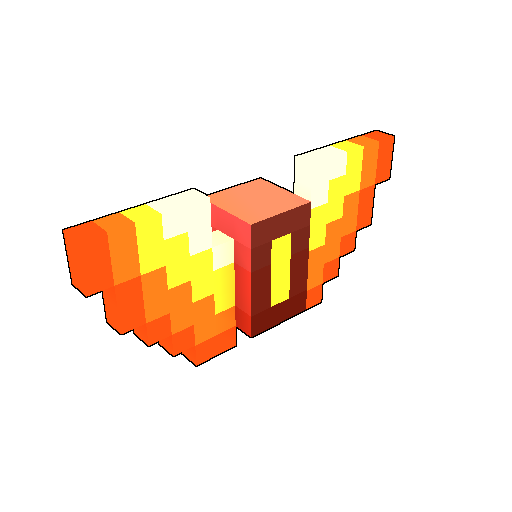 Flapping Bats - Place this block for some flapping bat vfx. Electricity - Place this block for some electricity vfx. Spooky Eyes - Place this block for some spooky eyes vfx. I need your help searching for hoarded candy. I know they're hiding it from me!\n\nComplete a 3-Star Dungeon in any biome. My friends prefer treats but everyone knows TRICKS are the best part of the season. Let's go cause some havoc!\n\nThrow 20 Rubber Bombs, Lava Bombs, and Big Bombs in Bomber Royale. Pumpkins can be found growing in large patches in Cursed Vale during Shadow's Eve. Rewarded for completing a Shadow's Eve 2018 Daily Outpost Adventure. Spooky scary extra rewards for logging in during Shadow's Eve 2018! A tasty bonus for logging in during Turkeytopia 2018! Granted for completing a Shadow's Eve 2018 event adventure. Granted for completing a Turkeytopia 2018 event adventure. You have already completed this adventure today. Trick or treat? Earn Shadowy Seals to craft unique collections at the Shadowy Station. Help Qubesly create a delicious Turkeytopia Feast! Turkeytopia 2018 1/8: Gobble gobble, Trovian! 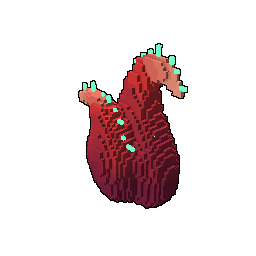 Qubesly here to tell you that Turkeytopia is upon us. Those pesky Dream Gobblers have invaded Dragonfire Peaks once again. Will you help me drive them away before they eat me out of house and home? Turkeytopia 2018 2/8: You know what chasing turkeys puts me in the mood for? Dessert! But those wicked Cupcake Caliphs in Candoria stole all my pumpkin pies.\n\nTravel to Candoria and defeat a Cupcake Caliph boss in a 1-Star dungeon to return Qubesly's pies. Turkeytopia 2018 3/8: Thanks for getting my pies back, Trovian. Now we just need to get the vegetables and stuffing piping hot and ready to eat. Go to Dragonfire Peaks and bring back some Primordial Flames. 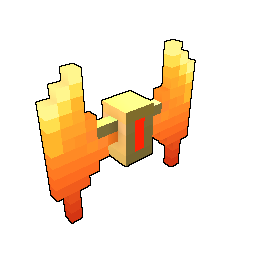 I'll get everything else ready.\n\nPrimordial Flame blocks can be found uncommonly in any biome. Turkeytopia 2018 4/8: I'm almost ready to start baking but I need something to get the stove going so that our meal can cook perfectly. I think some Blank Scrolls will do the trick.\n\nBlank Scrolls are most commonly obtained by deconstructing recipes found in Recipe Lairs. Turkeytopia 2018 5/8: We're almost ready, Trovian. I need you to go to the Fae Forest and bring back some Faerie Dust. It's the secret ingredient in my Magical Mashed Potatoes. Once I have that I'll be ready to finish preparing the feast! Turkeytopia 2018 6/8: The food is in the oven and will be ready soon. While we wait, why not stretch your legs? I hear that Bomber Royale is popular this time of year. Turkeytopia 2018 7/8: I invited Saltwater Sam to have dinner with us, but he said he's too busy dealing with Pirates at the moment. Maybe if you help him out he'll be able to join us after all.\n\nPirate Sailors and Cannoneers can be found in Lost Isles and Treasure Isles biomes. Turkeytopia 2018 8/8: I almost forgot! We're missing the most important part of the meal. I need some Seasonal Sasperilla from Desert Frontier. The Saloonbot Mayor stole the last of this year's stash. Thank you for all your help, Trovian, and Happy Turkeytopia!\n\nSaloonbot Mayors can be found as Dungeon and Lair bosses in Desert Frontier biomes. Shadow's Eve 2018 1/8: Trovian! It's me, Qubesly! Awaken your Drak-o-lantern and don your spooky costumes - Shadow's Eve has returned. 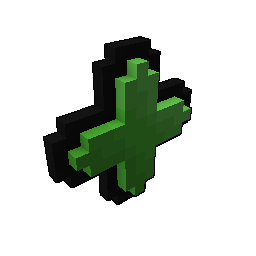 Visit Skelly, Booradly, and Spooklia in the Trove Hub. They're offering a special token called the Shadowy Seal in exchange for assistance. Shadowy Seals can be used at the Shadowy Station in the Hub to craft special rewards. \n\nDaily NPC Adventures for Shadow's Eve can be found in the Trove Hub near the Shadow's Eve pumpkin house. 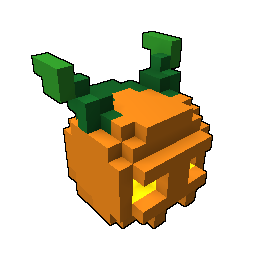 Shadow's Eve 2018 2/8: Pumpkin Lairs have risen across the landscape of Trove once more. Let's go check them out! \n\nPumpkin Lairs can be found randomly in any biome. Shadow's Eve 2018 5/8: Before you devour those sugary kernels of joy, did you know they're not just for eating? I prefer to to turn them into other treats! Why not craft a Nightmare Mystery Box from the the Shadowy Station in the Hub? Shadow's Eve 2018 6/8: Did you hear? Todstrom has shown his cowardly face again, this time in 1-Star Dungeons in the Cursed Vale!\n\nComplete 1-Star Dungeons in any biome. Toadstrom may appear in 1-Star Dungeons in Cursed Vale during Shadow's Eve, but his trick is your treat! Defeat him to receive extra rewards. Shadow's Eve 2018 7/8: I've always liked Cursed Vale but this time of year its denizens are out in droves, especially the bare-bones skeletons. Someone needs to do something about those guys, no bones about it!\n\nBare-Bones Skeletons can be found wandering any Cursed Vale biome. Shadow's Eve 2018 8/8: Have you ever seen a Dracolich? They reside in the Permafrost biome and horde their treasure below the ice. It is said that dispatching a Dracolich during Shadow's Eve will assure a Merry Snowfest down the road. Will you help end this celebration with a bang, Trovian?\n\nDracolichs can be found as Dungeon and Lair bosses in any Permafrost biome. Get away with a shadowy steal of a deal with this one time only pack of 15 Shadowy Seal 2018 tokens. Contains 5 dragon allies to match Zahadeen, Scintilla, Palashien, Fortras, and Albairn. Contains 10 Greater Dragon Caches, 24 Diamond Dragonite, and 2 Lustrous Gem Boxes. Win the skeleton war with this limited-time Shadow's Eve offer!\n\nIncludes the Colossal Skullcrawler mount, the Nefarious Nekomancer Costume (Tomb Raiser), the Impish Tormentor Costume (Lunar Lancer), the Haunted Pumpkinling ally, the Bonkers ally, and 3750 credits. Everything you need for a strong start!\n\n4 rows of Inventory slots, 10 Chaos Chests, 10 Greater Dragon Caches, 10 Super Style Stashes, and the speedy TROV-3 Rocket Mount!\n\nPurchasing this will also allow you to claim Disaeon the Immortal, an ancestral dragon mount (limit 1/account). I prefer to be sparkly, not spooky. I'm having a Shadow's Eve Party and everyone's invited! Wow! That's a lot of Candy Corn. Travel the Treasure Isles in the most stylish ship around. Able to jump a whole line of quad cycles. The happiest gourd dog on the block! If you hear squeaking under your bed late at night don't be scared. He just wants to play. Wishes there were more water ways in the Shadow Tower. He hopes you like his costume. Gabbro worked very hard on it. The feint scent of incense and wood smoke follows behind her. Brilliantly blue like the briny deep. Soar through the midnight sky in spooky style. A token granted during Shadow's Eve 2018. Can be used at the Shadowy Station in the Hub to craft a unique lootbox and collections. Contains a plethora of prizes, including Bound Brilliance, Dragon Coins, and a rare chance at Diamond Dragonite or Metamatter. Sail the seas and make all those cake-lovers walk the plank. Pretty sweet, if you do say so yourself. Now you too can be the most wonderful, most magical princess. Place this block for some flapping bat vfx. Place this block for some electricity vfx. Place this block for some spooky eyes vfx. 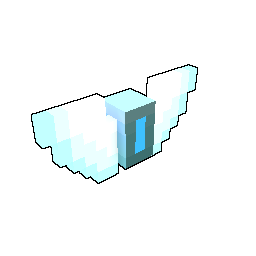 Place this block for some flying ghost vfx. NEW: Collect any organic materials from the Geode caves. OLD: Sunfest 2018 5/8: The gifts of Elysia are many. 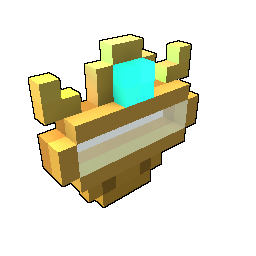 This time of year, the Sun Goddess bestows special caches to her followers on Trove and Geode. However, those wicked Shadow Pinata Invaders sometimes steal these caches!\n\nRecieve a Golden Ticket Chest for each day that you log in during Sunfest. These lootboxes also have a rare chance to drop from Shadow Pinata Invaders. NEW: Sunfest 2018 5/8: The gifts of Elysia are many. 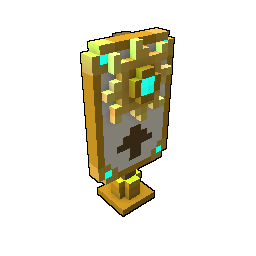 This time of year, the Sun Goddess bestows special caches to her followers on Trove and Geode. However, those wicked Shadow Pinata Invaders sometimes steal these caches!\n\nReceive a Golden Ticket Chest for each day that you log in during Sunfest. These lootboxes also have a rare chance to drop from Shadow Pinata Invaders. NEW: Contains Yzzuli of the Honeybreeze, one un-bee-lievable dragon, plus 2 cute costumes, 3 mighty mounts, 1 dazzling dancepad, 8 awesome allies, & 9 stunning styles! OLD: Pump yourself up to a squasherific look with this limited-time Shadow's Eve offer!\n\nIncludes the mammoth melon mount Gourdzilla, the eerie twilight glow of the Gloomy Gloaming stellar aura, and the Hardened Headgourd helm style!\n\nAct now, as Gourdzilla stops pounding on November 7th! NEW: Pump yourself up to a squasherific look with this limited-time Shadow's Eve offer!\n\nIncludes the mammoth melon mount Gourdzilla, the eerie twilight glow of the Gloomy Gloaming stellar aura, and the Hardened Headgourd helm style! OLD: Reduces cooldown time by 10%. NEW: Increases cooldown recovery speed by 10%. OLD: Reduces cooldown time by 25%. NEW: Increases cooldown recovery speed by 25%. OLD: Despite his awesome firepower, the moniker actually refers to his keen mind for battlefield strategy. NEW: Despite his awesome firepower, the moniker actually refers to his keen mind for battlefield strategy.\n\nHaving this Dragon unlocked grants a permanent +1000 Max Health, +7% Max Health, +5% Attack Speed, and +50 Magic Find. OLD: Throughout Reng history countless hopeful students have climbed his mountain, and almost as many masters have descended from it ready to change the world. NEW: Throughout Reng history countless hopeful students have climbed his mountain, and almost as many masters have descended from it ready to change the world.\n\nHaving this Dragon unlocked grants a permanent +20% Max Health, +500 Magic Damage, and +50 Magic Find. OLD: A spooky attraction beloved by all Trovians who appreciate the Shadows' Eve festivities.\n\nWARNING Once placed, Frameworks cannot be picked up again. They can only be deconstructed into their individual blocks and decorations. NEW: A spooky attraction beloved by all Trovians who appreciate the Shadow's Eve festivities.\n\nWARNING Once placed, Frameworks cannot be picked up again. They can only be deconstructed into their individual blocks and decorations. OLD: A small, Shadows' Eve-themed shack for folks to congregate in.\n\nWARNING Once placed, Frameworks cannot be picked up again. They can only be deconstructed into their individual blocks and decorations. NEW: A small, Shadow's Eve-themed shack for folks to congregate in.\n\nWARNING Once placed, Frameworks cannot be picked up again. They can only be deconstructed into their individual blocks and decorations.